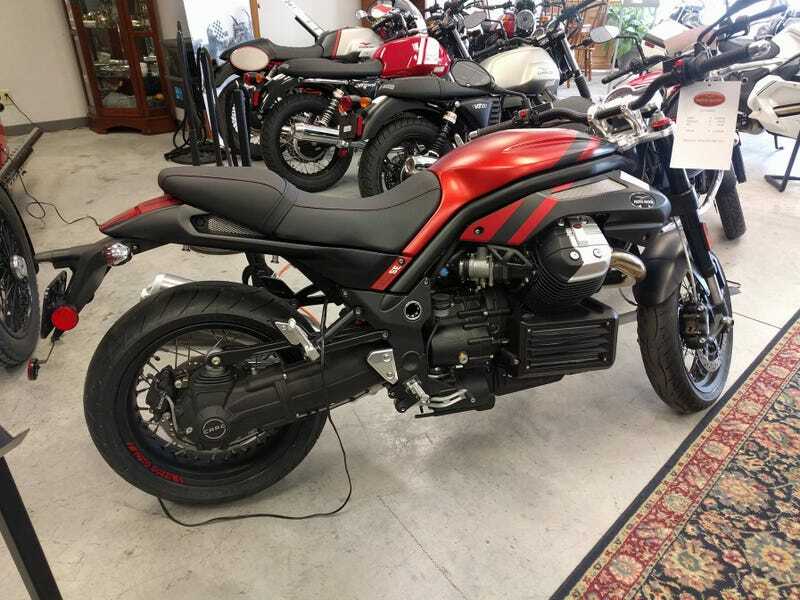 Got bored, went to a Moto Guzzi dealer. Cool looking bike. Don’t think I’d have one, though. Oh, and you may have noticed out of the corner of your eye, this is also apparently a Morgan dealer!